Get your questions answered as an active military or VA homebuyer. Many of our communities are located near military bases, so we work with active-duty and veteran buyers on a day-to-day basis. 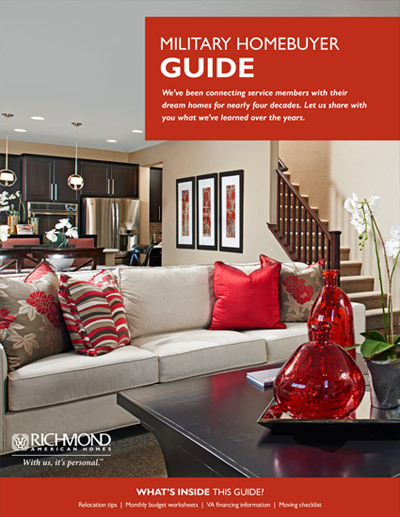 In appreciation for your service, we'd like to share with you what we've learned over the years to help you make the best homebuying decisions. Do you qualify? Is VA right for you? Find out now. Get the advice you need to make a smooth move. Stay organized throughout the process. Learn the benefits to owning a home as a member of the military. Explains BAH and how to factor it into your budget. Sign in or sign up to get your free copy today! Then, find out where we're building near your duty station.